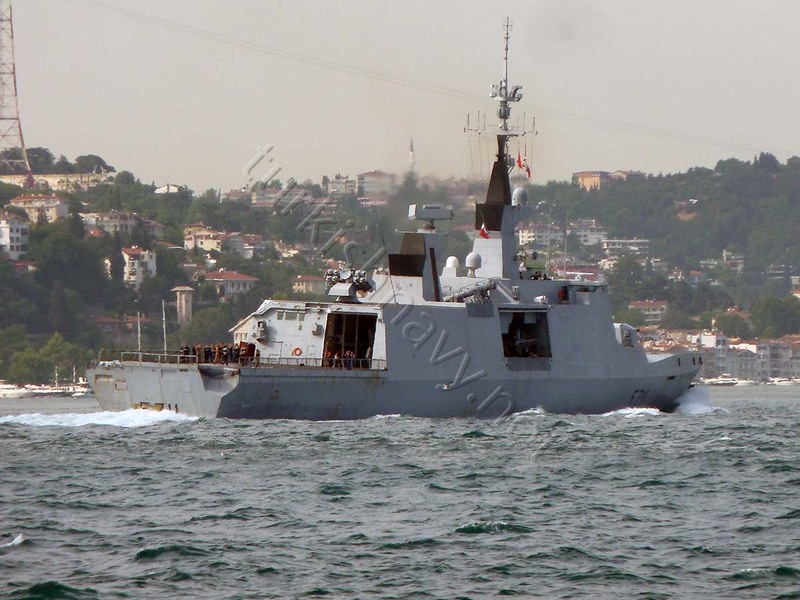 French La Fayette class frigate F-711 FS Surcouf heading to the Black Sea. 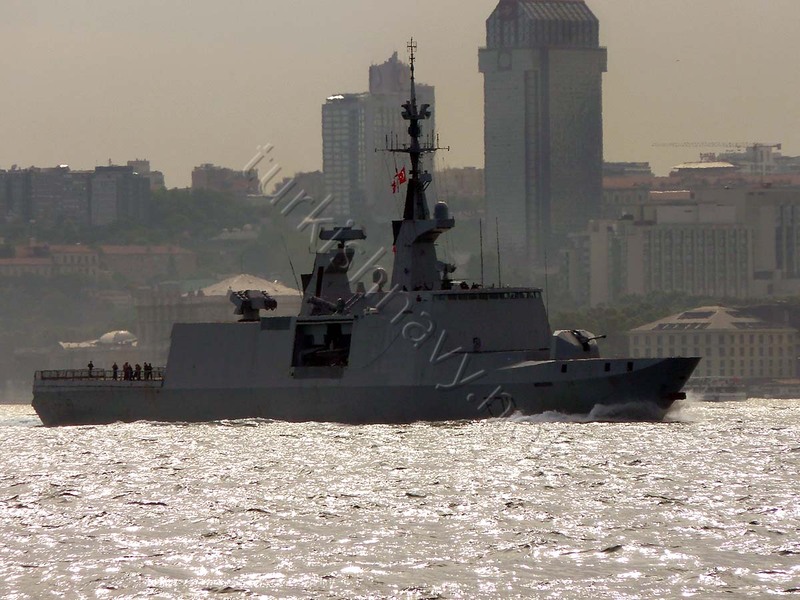 The crew of the frigate enjoy the nice weather and the view of Istanbul. 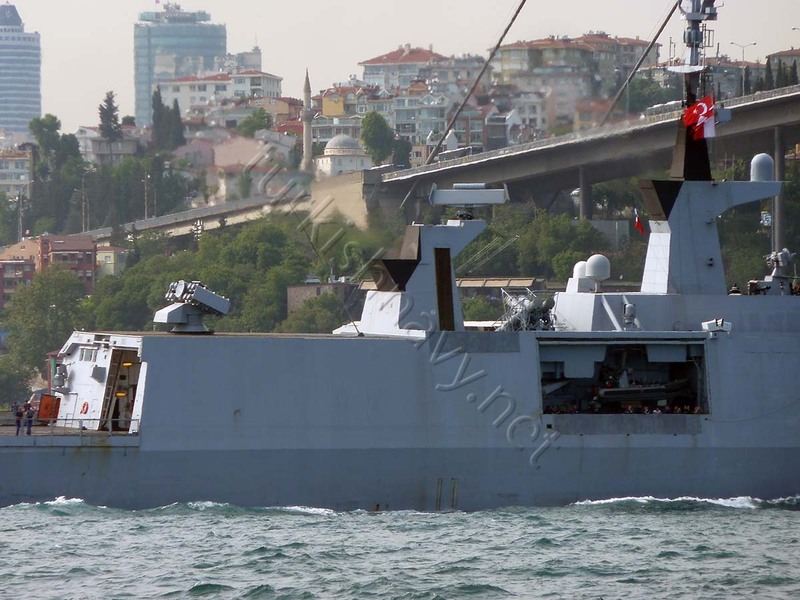 The crew of the frigate enjoy the nice weather and the view of Istanbul even on the flight deck. 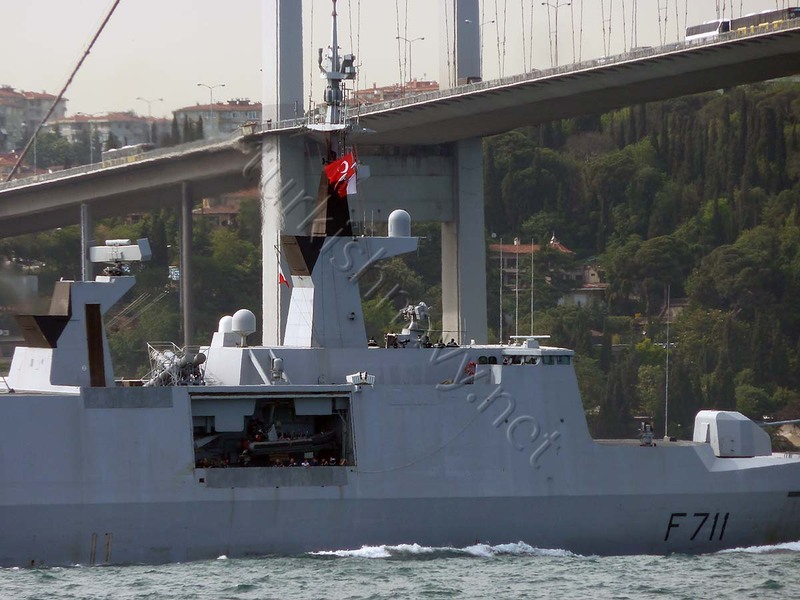 Today the French frigate F-711 FS Surcouf made a northbound passage through Turkish Straits. 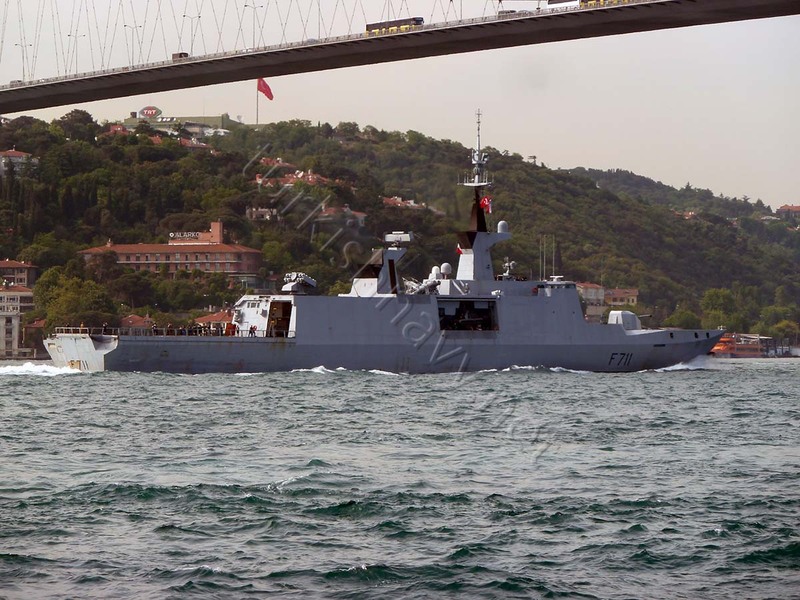 She is along A-579 FS Dupuy de Lôme the second French warship in the Black Sea. 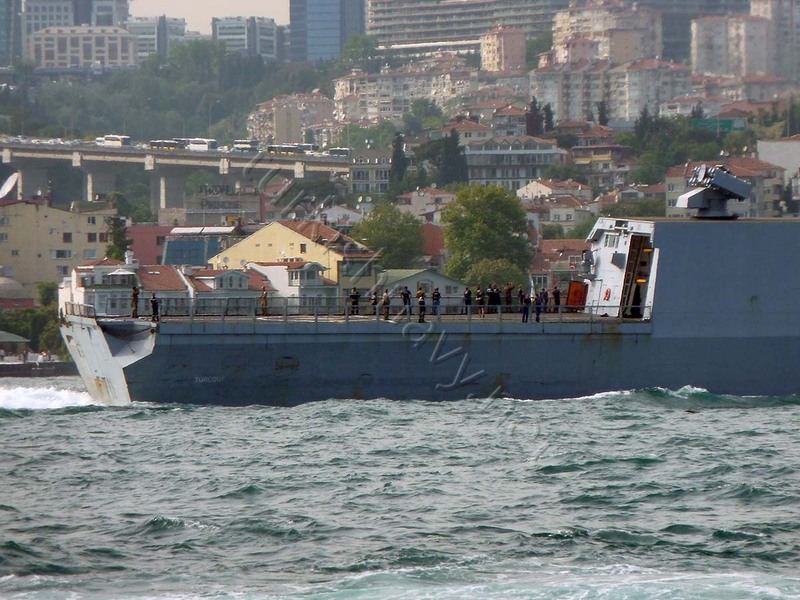 She can stay in the Black Sea till 18 June 2014.